Lakme | Zonyxa. Unique and contemporary jewellery for Work. Love. Play. 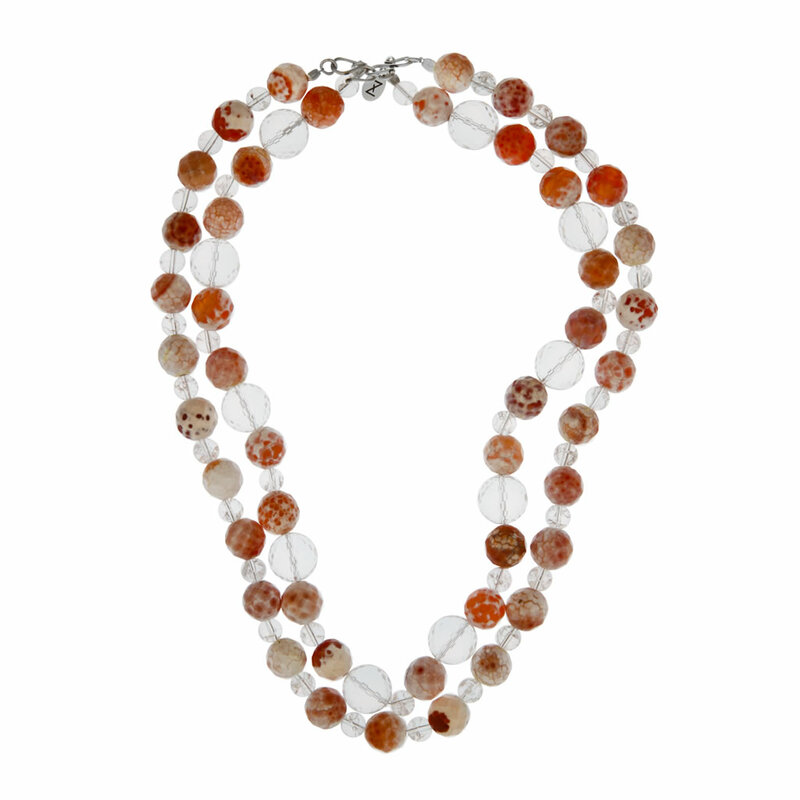 This luscious, double strand necklace comprises creamy-brown fire agate, clear crystal and ice quart balls. Sparkling against maroon, brown, dark grey or teal dress or top for any special occasion. Materials: Fire agate, crystal and ice quartz.